Dr. Tim Maxwell, MD’06, remembers the first time he visited the Chippewas of the Thames First Nation. It’s a memory that sticks with him because it was also the first time he met the people who were supporting his education – his Indigenous community. It was a snowy winter evening in December 1999. The then 22-year-old undergraduate student and his younger sister were attending a special awards banquet the community hosted for postsecondary students. He recalls being welcomed with warmth and generosity by the band members. “When we got there, everyone seemed to know all about us already,” he said. But Dr. Maxwell acknowledges he felt intimidated leading up to the visit. “I’d never been to a reserve before that night,” he explained. Much of why Dr. Maxwell carries this inner conflict is because of his own family history. He didn’t learn of his Indigenous roots until the age of 14, when his mother, who had been adopted as a child, found her biological parents. With the discovery that her mother belonged to the Chippewas of the Thames First Nation, she began learning more about her family and Aboriginal culture, and encouraged her own children to embrace the identity. Dr. Maxwell is now an anesthesiologist, living and working in Saint John, NB. After completing his bachelor of science in biology and chemistry at Wilfred Laurier University, he worked briefly for Schneider’s in Kitchener before applying to medical school. Dr. Maxwell entered Schulich Medicine in 2002, filling one of three seats the School reserves for First Nations, Métis or Inuit students in each year of the MD program. At Schulich Medicine, he found a home. Amid the SARS outbreak and the Walkerton water crisis, he says his 132 classmates “worked hard and played hard.” They shared challenging clinical experiences, intramural sports teams and major life milestones. Tachycardia stands out to him as a special memory – the Medicine Class of 2006 won the top prize twice, an impressive feat. Dr. Maxwell played in the Tachy band, and looks back fondly on one particular performance covering The Killers’ hit song All These Things That I’ve Done. The proud alumnus also served on the Admissions Committee throughout all four years of medical school, and participated in applicant interviews for Indigenous candidates. 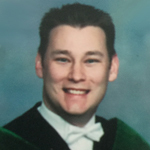 Following his residency training, Dr. Maxwell worked as a locum in Windsor for three years. He also took many opportunities through the Northern Specialist Locum program to work in smaller, northern Ontario communities, including Thunder Bay, North Bay, Sudbury and Sault Ste. Marie. He moved to Saint John in 2014, and currently holds a position at Saint John Regional Hospital, the largest tertiary care centre in New Brunswick. Challenges with his own identity have given him perspective on the barriers facing Indigenous students, while also understanding and appreciating their diverse backgrounds and experiences. “For me, one of the biggest challenges was the questioning of my own belonging,” he added. The physician remains hopeful that he can serve as a role model and provide an example of the opportunities available to Indigenous students in the medical profession.